These celebs don't hold back when it comes to making a statement — on their nails! Take a look at the cute, the quirky, and the incredibly unique designs that are starting beauty trends everywhere! Tweet me (@LynnetteJoselly) a pic of your best mani, and you could end up in this nail hall of fame! Katy Perry strikes again with some outrageous nail designs! 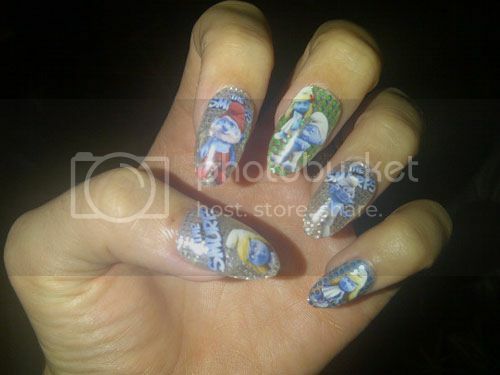 This time, she rocks fabulous decals for the premiere of her new movie, The Smurfs. This Fergalicious look is totally edgy and super-easy to try at home! Apply a base coat of a cool metallic color like silver, wait until it dries, and then paint thin stripes of a contrasting color like black over that. Voilà, you're the newest member of the Black Eyed Peas! Beyoncé went for a straight-up diva look with these gold metallic nails. They're from Minx, which makes a special nail adhesive, rather than a polish, so they never chip and you can get fun, colorful styles! 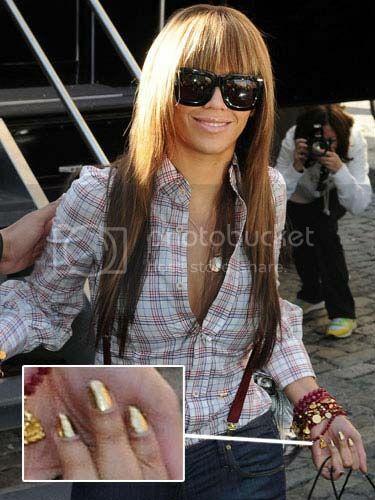 B also rocked these gold nails with her metal glove for the "Single Ladies" video! Gaga looked ready to pounce when she showed up to the MTV VMA's rocking these putty-colored talons. Those look dangerous! 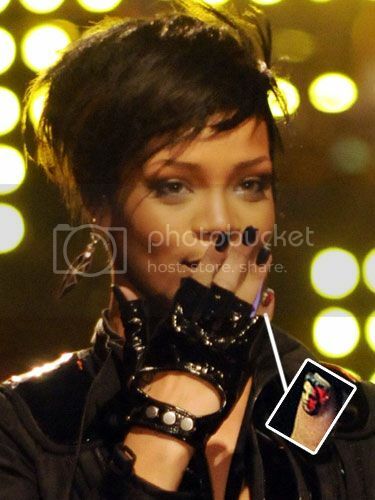 Rihanna showed some political love for President Obama when she flashed a manicure with his face on her pinkie. Think she ran out of time at the nail salon? Katy definitely knows how to always have a party at her fingertips! That's why she opted for the disco-ball nail look when she hosted the MTV Europe Awards!